insulation HULLIFLEX ® 3 / 300 Vrms min. connector types Our 3.0 mm. Ø cable entrance diameter Bus type Universal Speaker Connectors or our 4.5 mm. Ø cable entrance diameter BERRI Bus Connectors or our DIY Screw-On Speaker Connectors; All custom mountable on ordered lengths. standard sales units 100 m. reels; With connectors mounted to specifications: any length; Without connectors: please consult your van den Hul dealer or the van den Hul distributor in your country. 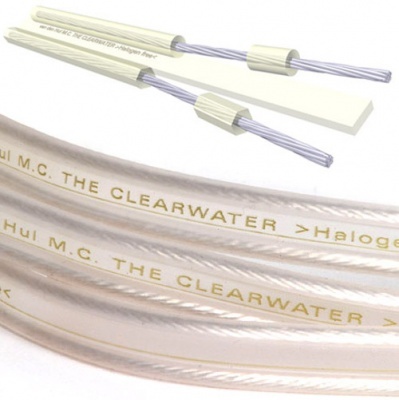 remarks Our The GOLDWATER is a version of this cable especially suited for the more harsh (tropical) environments.